Jim worked at Honeywell for 35 years prior to retiring in 2018. In his final position as the Director, System Modeling & Analysis Engineering in the Aerospace Mechanical Systems & Components Business, Jim was responsible for the expertise in steady state and dynamic system modeling and analysis (SMA), mechanical structures and system dynamics (MSSD), and reliability, maintainability, and system safety (RMSS) in the areas of environmental control systems, fuel tank inerting systems, pneumatic, actuation, fluid power, fuel systems, and wheels and brakes. In his prior position as the Director, System Modeling & Analysis in the Aerospace Mechanical Center of Excellence (MCOE), Jim had responsibility for the expertise in steady state and dynamic system modeling in the areas of engine operability, engine performance, engine control systems, environmental control systems, and fluid power performance. Prior to that, he was Senior Technical Manager, responsible for the Environmental Control Systems (ECS) Performance Analysis and Dynamic Analysis/Controls departments. Performance Analysis provides preliminary system design, system sizing, trade studies, component requirements, steady-state and transient performance analyses of ECS and other thermodynamic systems or components. The Dynamic Analysis/Controls department establishes controls system architectures as well as conducts dynamic simulations of ECS. Jim was also the Director, Strategic Technology Assessment for Engines, Systems, & Services. In this role, he was responsible for developing technology inputs for the Strategic Plan, and coordinating the process that ensured technology roadmaps and investment decisions were driven by customer needs. He coordinated technology planning across Aerospace businesses, maintained the Engines, Systems, & Services process for selecting R&D investments and managed the R&D project portfolio. He drove consistent processes, tools, and training to enhance capabilities and spread best practices in technical disciplines via Technology Councils. Jim also held management responsibility for the Catalysis & Separations R&D Skill Center for seven years and the Ceramic Components business for one year. As the Aerospace Equipment Systems (AES) Technology Leader he headed the Technology Leadership team comprised of the technology leaders for each of AES’s nine core technologies: dynamic simulation, electric power systems, electronics, heat transfer, materials and processes, mechanics, reliability, sensors, and software. The team maintained a network of technology specialists, facilitated technology exchange across AES, recommended the long-term core technology strategies, drove core technology gap closure plans, benchmarked to improve tools and processes, established plans for future research and development projects, and championed enabling technologies and related business opportunities. Prior to this role, Jim was the AES Materials Technology Leader. Jim also was Senior Manager of the Torrance materials engineering department, responsible for maintaining group competencies in materials, processes, and specifications. Prior to this assignment, he managed the ceramics group, guiding R&D activities on fuel cells, membrane filters, superconducting bearings, and ceramic heat exchangers. He began his Honeywell career as a ceramic engineer working on projects involving ceramic heat exchangers for tank and cruise missile programs. Jim was the Honeywell Aerospace-Torrance Site Ambassador, assisting in Government Relations activities. He also held the Honeywell Aerospace-Torrance Site Engineering Leader role from 2010-2014 which included being the point of contact for Engineering &Technology for local issues and site-specific work and represented E&T on the Torrance site leadership council. He was responsible for local Engineering communications and events. Prior to joining Honeywell, Jim managed a Materials R&D department at Anchor Hocking Corporation. Jim obtained his B.S. and M.S. in Ceramic Science from Penn State. 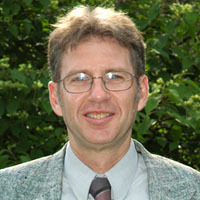 He is a Past-President of the Penn State Materials Science and Engineering Department’s External Advisory Board. He is a member of the National Institute of Ceramic Engineers and the American Ceramic Society. He previously was the Honeywell Executive contact for Harvey Mudd College and sat on the CSULA College of Engineering, Computer Science, and Technology Dean’s Advisory Board.